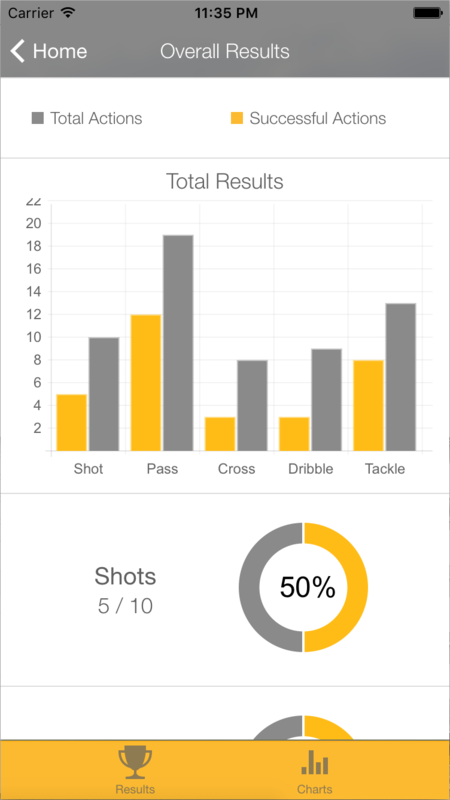 Home view provides an easy to use navigation to Manage Athletes, Record a new Session and view Charts and Graphs. 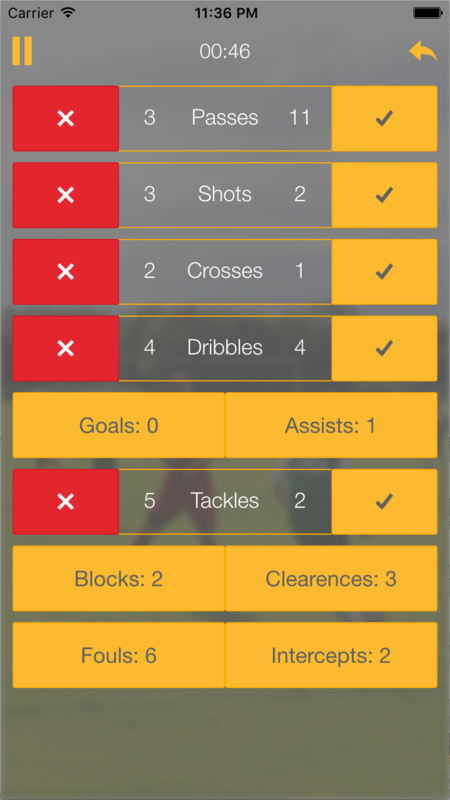 Record all the actions as it happens on the pitch. Clock is ticking. Shots are taken, passes are made and tackels have been commited. Record all actions and review them later. Pause the session, Undo an action and Stop and Start periods. Visit the result at the end of every session and give advice to highlight mistakes and improve skills. Compare multiple results against each other. View progress result of an athlete over a period of time. Display an overall view of all activities. 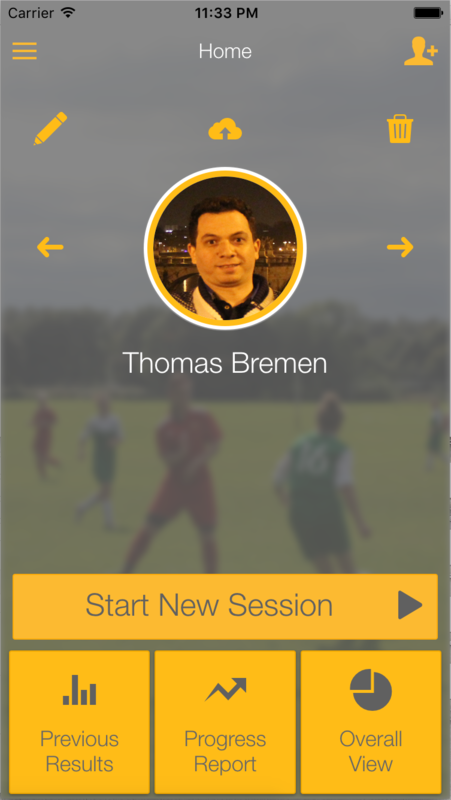 Record your footballing activities with a quick setup and easy to use navigation. Entered information is stored only on your iPhone device and is securely encrypted for sharing. Monitor and view your progress and overall view with charts and graphs. Clock is ticking, download our free app and start recording your actions.